The very famous Xiaomi MJTD01YL Smart LED Desk Lamp is currently going for just $43 at gearbest.com.This is the best deal on this product.The price is for very limited time.So if you are interested in this product, you have to hurry up. Below we have shared a small review of Xiaomi MJTD01YL Smart LED Desk lamp.So read this before making the parchase. Xiaomi Smart LED Desk Lamp is an amazing device unlike any other lamp. 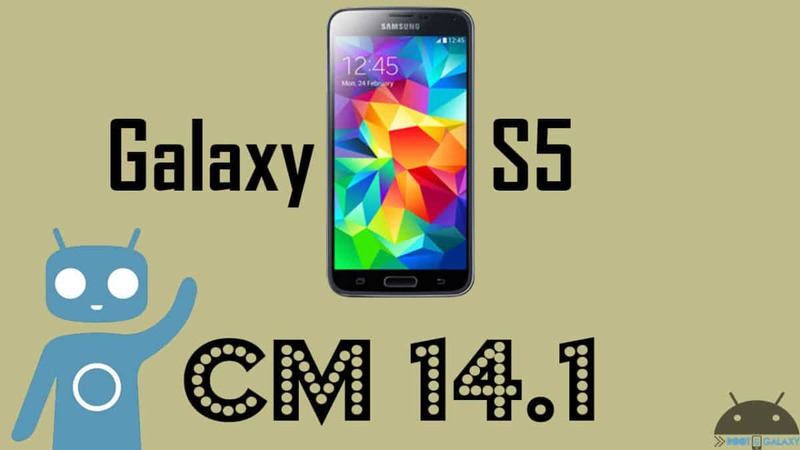 It comes with an array of world class features and has exquisite design and looks. It looks extremely gorgeous and has a nice looking minimalistic design. Its tubes are made of aluminium and its base is made out of matt plastic which resists the impression of fingerprints. It’s not just the looks, it has 6W of power and can provide up to 300m of brightness. It is not that bright but is bright enough for reading purposes and doing other stuffs by the desk. You can easily turn on the lamp by pressing its knob and can also adjust the brightness by rotating it. For adjusting the colour temperature, press down and then rotate the knob. For toggling the ‘pomodoro’ timer, double click the knob. What makes this lamp different that other table lamps is its integrated Wi-Fi feature and the ability to control it using the Mi Home app which is an app launched by Xiaomi to control all kinds of similar smart devices like Xiaomi Yeelight LED Bulb and more. 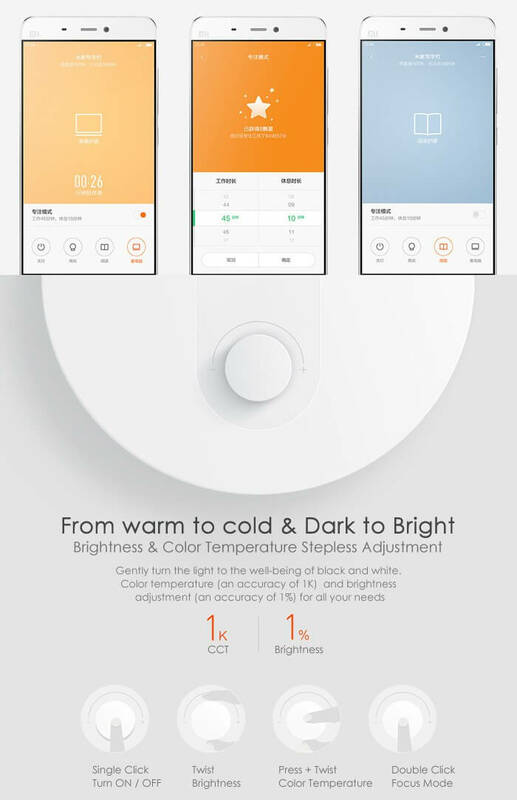 Using this app, you can easily adjust the brightness and colour temperature manually. You can also select from the pre-set reading and PC modes. 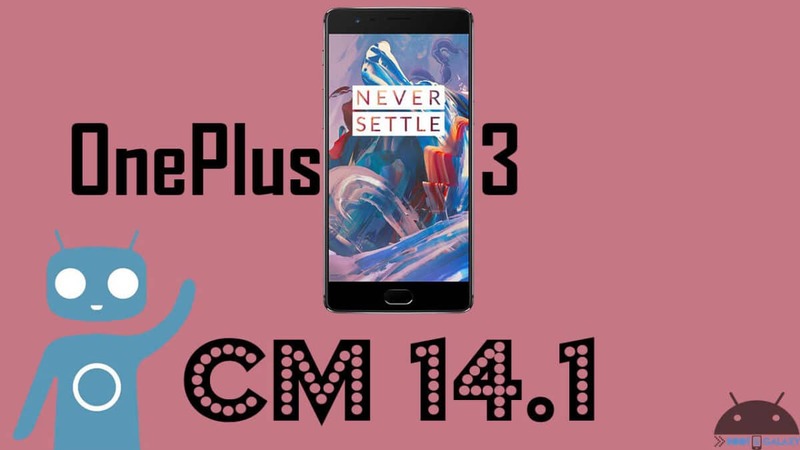 It has a unique feature named ‘Pomodoro’ mode which is actually quite good. After enabling it, the lamp will flash every 45 min to remind you to have some rest and to give rest to your eyes. There are other features like kid’s mode, sleep timer and more. Xiaomi Smart LED Desk Lamp comes with four lightning modes for your different needs; Read mode, PC mode, Focus mode and Kid mode. 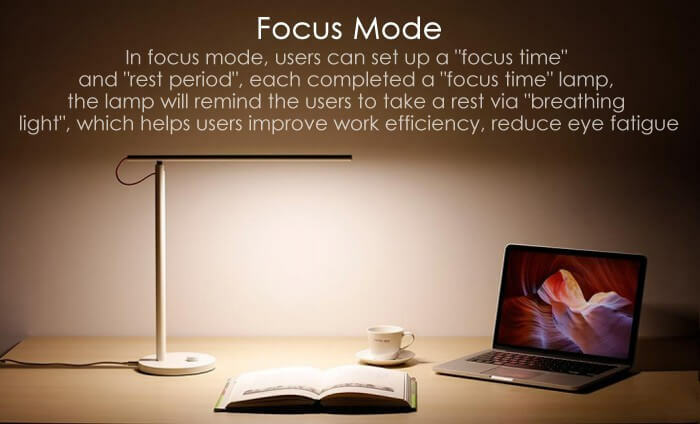 Focus mode: In this mode, users can set up ‘rest periods’ and ‘focus time’. 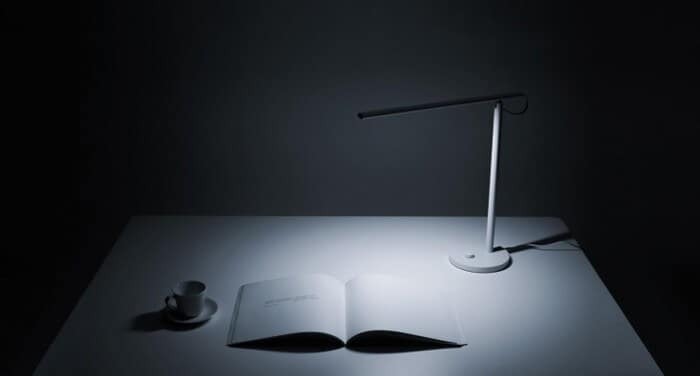 After each time interval, the lamp will remind you to take some rest via the ‘breathing light’ which allows the user to improve work efficiency and reduces eye fatigue. 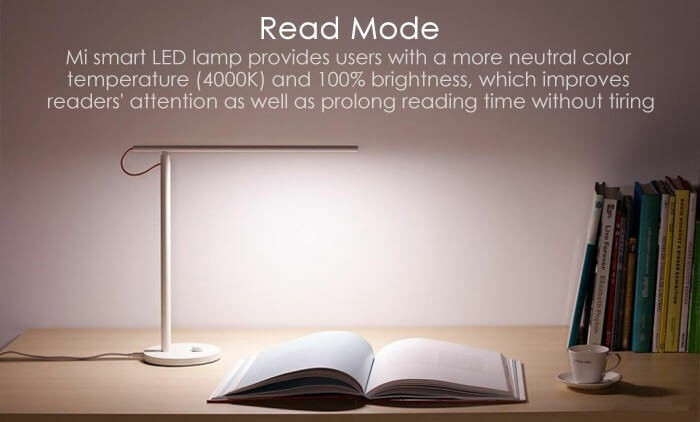 Read mode: This mode provides the user with more neutral colour temperature (4000K) and 100pct brightness which helps improve the reader’s attention and also helps during prolong reading time as it prevents the eyes from tiring. 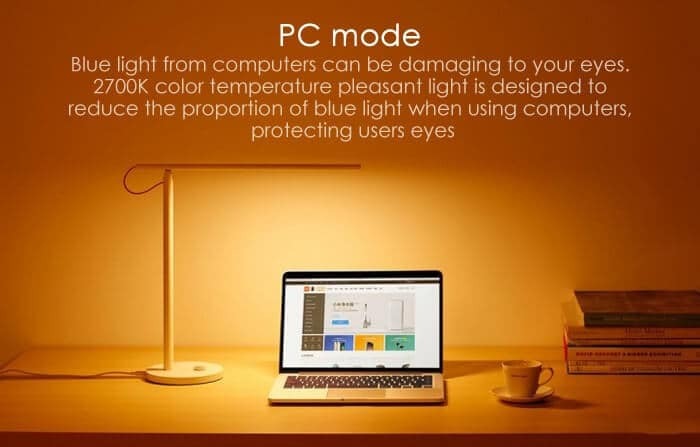 PC mode: The light from computers can be a bit damaging to eyes but the 2700K colour temperature pleasant light from this lamp is designed to reduce the blue light when using computers thus protecting the users from eye damages. Kid mode: The eyes of kids are not completely developed so they have more chances of getting hurt. 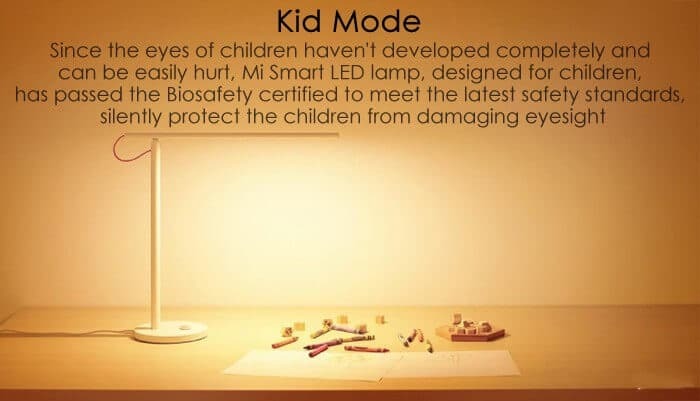 But this special smart LED lamp is specially designed for children and has passed Biosafety which proves that it has met the safety standards. 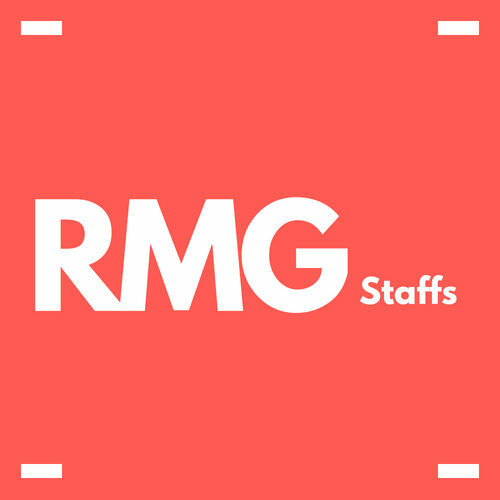 It protects the eyes of children as well as users of all age groups.